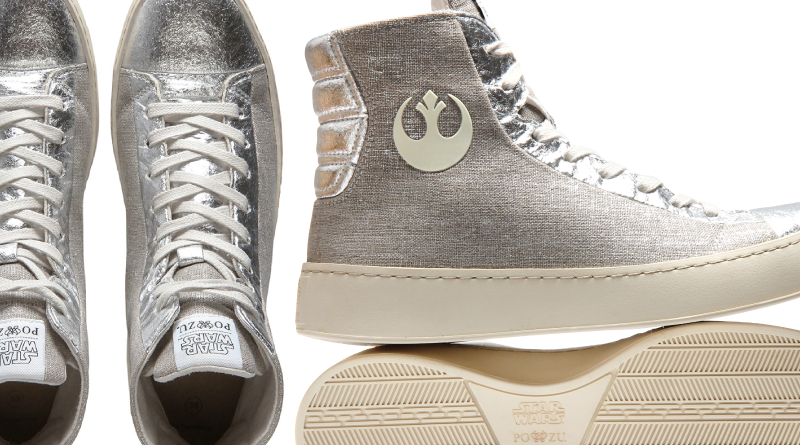 It’s turning into Star Wars shoe week here on FANgirl. And I’m certainly not complaining. A few months ago I gave you an up-close look with Po-Zu’s first Star Wars shoe collection. And now it’s expanding to include one more. Today marks the opening of the pre-order for the Limited Edition linen & Pinatex vegan Resistance high-top. It’s the same sneaker style already offered in black, red, sand, and off-white, but this one is silver and shiny and practically yells space shoe. Some of the materials are a bit different though Po-Zu’s commitment to sustainability remains. Pinnatex, a pineapple leaf fiber, is used as a vegan leather alternative. That’s the shiniest parts. The rest of the silver color comes from woven linen. Sorry though, guys and kids. These are only being offered in women’s sizes – although if you can fit your foot into it, no one is stopping you. (The other colors do still come in men’s, kids’, and women’s sizes.) The good news is this is only the first of a series of limited edition, co-branded, sustainable Star Wars shoes that will be coming out from Po-Zu through late 2018. This silvery high-top is limited to 1,000 pieces, which will be numbered. Shipment is set for October so you have them in time for The Last Jedi. The price is £150 (approx. $191). Pre-orders open today at 6pm GMT (2pm EST, 11am PST). 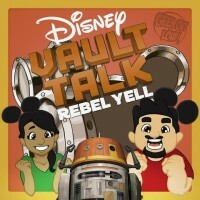 Want to support my ability to bring geek fashion content like this at no additional cost to you? Use this link to go buy your new limited-edition shoes or any of the shoes in the Star Wars™ l Po-Zu collection.